We know that the reliability of your IT systems being fully operational is critical to your business. This is why we have automated monitoring systems at the core of our support offering – Does your current provider tell you about issues that are about to happen? We do! We’ll build a package to suit your needs whilst also keeping your costs down. Meanwhile, you’re left safe in the knowledge that your business will be supported both on-site and remotely whenever you need our help. Our team also includes specialists in VMware, Apple, Citrix and Linux who give you the benefit of their wide exposure to a variety of complex networks across our client base. Whether it’s network installation, office relocation, virtualisation or anything in between, we can confidently handle it. At Online Support, we take full responsibility for your IT infrastructure, providing daily telephone and IT support anywhere in London. In addition to that, we provide continuing strategic guidance, hands-on network monitoring, and quick, effective onsite maintenance. Our services provide an all-inclusive IT support service at a fixed monthly fee. Service contracts are clear with no surprise charges and sincere Service Level Agreements. By choosing us, you are assured of excellent IT support in London, while you focus on your core business. We take away the hassle so you can increase your business productivity. Our objective is to proffer lasting solutions to IT issues for our clients. Our IT support for SMEs and proactive account management makes our service ideal for all your IT troubleshooting issues. As one of the most reliable IT support companies in London, our engineers will respond quickly to your day-to-day concerns. Online Support believes a sound IT system is the bedrock of a healthy business. Focusing on businesses with a significant number of users, we provide long-term solutions for the IT health of companies we serve. We don’t believe you need a hefty budget to get exceptional support. We are one of the leading names in the industry. We understand that the full functionality of your IT setup is crucial to your business. For this, we have automated monitoring systems at the core of our service offering. Does your existing service provider inform you about potential problems before they occur? Online Support engineers do! Our business offerings are tailored to suit your needs while remaining affordable. We give you the comfort of knowing that your business will be supported both on-site and off-site anytime you require our assistance. Our service engineers are experts in VMware, Apple, Citrix and Linux and are always ready to use their experience to resolve any problems on the ground. Whether it is a network installation, virtualization or office relocation, we got you covered. While most cloud solutions are user-friendly and efficient, implementing them can be quite complex, and many companies usually encounter problems along the way. Before switching to any cloud option (such as a Hosted Virtual Desktop), our engineers will provide much-needed counselling to make your decision an informed one. Our professionals are highly experienced and unbiased and will offer advice for free. Online support offers your business the option of on-site or cloud migration consultancy. This is determined by whether you want to transfer all or some part of your business’ data. This could include things such as Office 365 migrations. To make sure you are satisfied with your migration to the cloud, we deliver our services with extreme care. Instead of offering a generic deal, we can develop personalised plans through major service providers. We work with you to see that your specific requirements are met. Install and manage your current business landlines. You can be assured of reduced call expenses and save more on the cost of operations. We manage phone systems- as phone systems are more valuable than just phones on desks, we choose the right option for your company. We have a team of Avaya certified engineers to help if there are any issues. VOIP: Our services also include providing your business with an efficient Voice Over IP (VoIP) service. Mobility is important for success in the property business. We use innovative technology to place information at your fingertips and put you ahead of competitors in your industry. We can do this for your various mobile devices, so you are connected to office information even when you are on the premises. 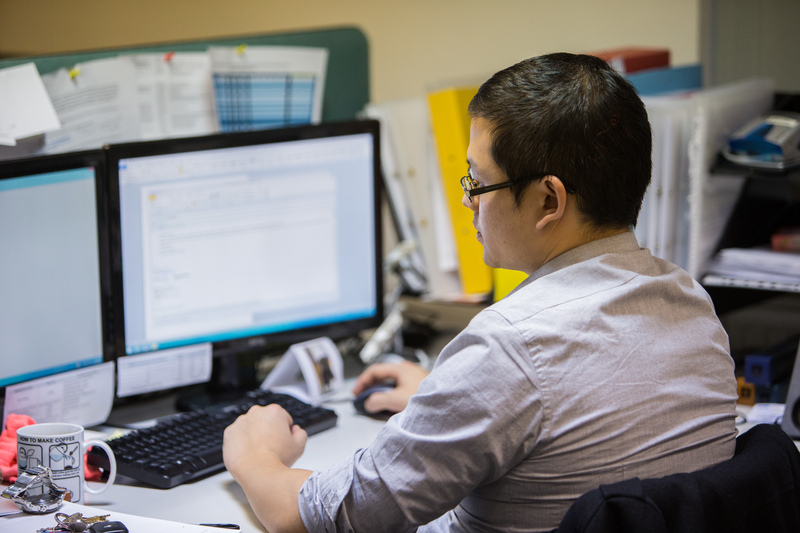 Give your practice a competitive edge with our IT support services in London. For many years, we have helped charities and not-for-profit organisations improve their current IT infrastructure. We also provide valuable advice and efficient customer service. Our solutions minimise downtime, so your clients can have access to your business at all times. The finance sector is a heavily regulated one, IT security and risk management are essential. Data protection, backup and maintaining a review of data are some of the major areas we cover. We understand the importance of adhering to regulations by authorities, not just for legal reasons, but also business efficiency, and as such, recommend the best solutions with FCA and EBA regulations in mind. Our systems ensure you have a robust disaster recovery plan in place to promote business continuity and comply with standard regulations. Why Choose Our London IT Support Services? Online Support doesn’t lock you down with uncomfortable contracts. 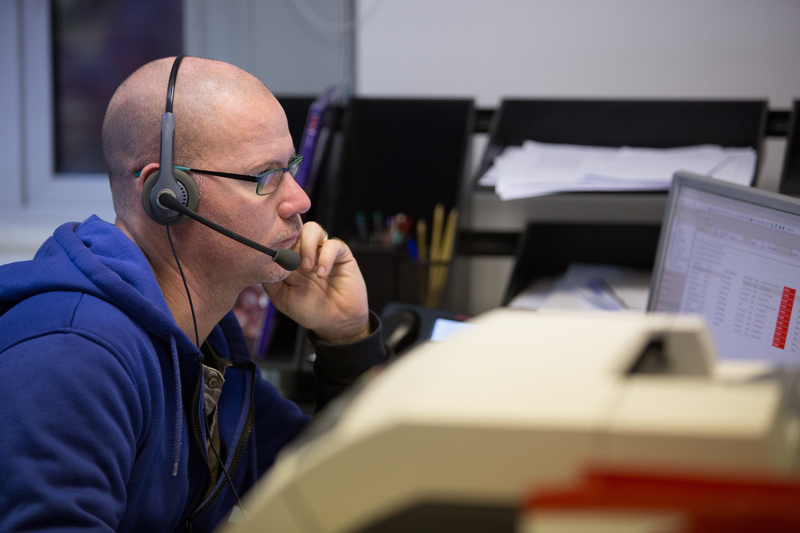 Our IT support services can be tailored to your business type with flexible contract options. By offering flexibility and money back guarantee, we promise to get the most cost efficient setup for your business. All our staff members are trained in their various fields of expertise. We are Gold partners of Microsoft, and our staff includes Microsoft certified engineers and dedicated account managers. Our engineers have the experience to deal with whatever IT issues you encounter. We assign, to every client, a dedicated account manager. They are on standby at all times to respond to any issues you may encounter. We use effective communication to maintain high-level service with our clients. There is always someone who will check up regularly to make sure you are satisfied with your IT solutions. Your account manager will also be your point of contact to help with any IT-related projects, such as IT relocation. Every business requires a sound IT support system to streamline operations and keep them competitive in their industry. At Online Support we give you that competitive edge. Call us on 0208 232 1190 for professional inquiry. Ad hoc remote support issues are handled by our London based helpdesk as and when they arise. Ad hoc onsite visits for any issues or changes are usually dealt with same day. Chances are, we’ve already done the IT project you’re planning. Our engineers deal with complex IT upgrades and projects all the time. We can also work alongside your staff so that they can learn from us as we go. If you know that you will be short staffed for a period of time, we can provide as many engineers as required to prevent any down time or loss of staff productivity from happening.